ILENI IS LOSING HER MAGIC. And that means she's losing everything: Her status as the renegade sorcerers' most powerful rising star. Her purpose in life. The boy she loves. Her home. Exiled to teach sorcery to the assassins deep within the mountains, she expected no one will ever hear from her again. The last two tutors died within weeks of each other. As Ileni unravels the mystery surrounding their deaths, she'll uncover secrets that have been kept for decades--and she'll find an unexpected ally and dangerous new love. But even he may not be able to protect her. Not when she's willing to risk EVERYTHING. As I was finishing up the last few pages in this book, I kept fervently wishing that the book would never end. This is probably the best book I've read so far this year. That may not be saying much, since I haven't been reading like I normally do, but still. It counts for something. Ileni was so amazingly awesome. It was just so frustrating that she's losing all her powers. I kept wanting her to do some serious physical damage when she used her snarkiness on people. But that is a major plot point in this book, so I guess she couldn't go all badass sorceress on us, or there would be no story to her discovering herself without her powers. And, she didn't cling so much to her man, Sorin. She was at times weak, but she still held her firm ground and threw him to the side when she needed to assert herself. The plot itself is really good! There's the whole big bad Empire, which I hope to see a lot more of in the next book. Hopefully, all's not as it seems, as I'm hoping. (Maybe the Empire isn't all bad? Psychological twist, perhaps?) I want to meet Tellis, Ileni's old beau, and Sorin's invisible competition! There should be a love duel. Sorcerer against assassin. I'm down for that. And then, of course, there's the whole magic/sorcerer(ess) and assassin thing going on. I'm all for the magic side of things, but it would be nice being able to kill someone with a spoon or something. Magic's still better, though. Senior Paul Wagoner walks into his high school library with a stolen gun, threatens his girlfriend, Emily Beam, and then takes his own life. In the wake of the trauma, an angry and guilt-ridden Emily is sent to boarding school in Amherst, Massachusetts. Two quirky fellow students and the spirit of Emily Dickinson offer helping hands, but it is up to Emily Beam to heal her own damaged self. Hello, everyone! A small update about my life: I know have a job! Unfortunately, that means less time to dedicate my summer to reading, but I'll survive. Now, on to the review. I'm not a big poetry reader. I think the most recent poem I read was "The Raven" by Edgar Allan Poe. And that was about three years ago. I do have these bookmarks with Emily Dickinson poems. Very cute. So, when I picked up this book at the library and read the summary, I almost put it down and moved on. As I was flipping through the pages, I noticed, the whole book isn't in poetry, so I checked it out. I'm so glad I did. One of the reading I went on a book hiatus is because of the young adult repitition. There always has to be a love story thrown in, and it's usually the main focus, instead of building a good plot. 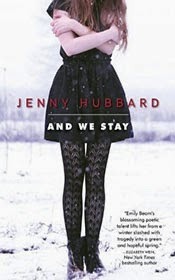 Although And We Stay does involve a romance story, that is not the main focus. 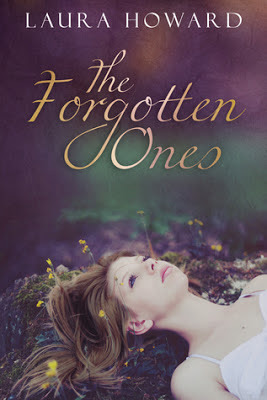 Emily Beam has to get over her past, and move on with her life. It's the reason the setting is at a boarding school, far away from home. As a person who values her friends on the same scale as family, I loved how Emily grows through her friends. It's beautiful! Additionally, she finds comfort in her writing, something which I can relate to. I could go on and on about how this book is different, and a great contemporary novel, but you will just get bored with me. Honestly, it's a small book. It was definitely a quick read. Go pick up this book either if you are a big fan of poetry, Emily Dickinson, or love a book that emphasizes friendships. Iolanthe Seabourne is the greatest elemental mage of her generation--or so she's been told. The one prophesied for years to be the savior of the Realm. It is her duty and destiny to face and defeat the Bane, the most powerful tyrant and mage the world has ever known. This would be a suicide task for anyone, let alone a reluctant sixteen-year-old girl with no training. Guided by his mother's visions and committed to avenging his family, Prince Titus has sworn to protect Iolanthe even as he prepares her for their battle with the Bane. But he makes the terrifying mistake of falling in love with the girl who should have been only a means to an end. Now, with the servants of the tyrant closing in, Titus must choose between his mission--and her life. The Burning Sky--the first book in the Elemental Trilogy--is an electrifying and unforgettable novel of intrigue and adventure. I have two major obsession when it comes to books: angels, and anything dealing with controlling the elements. 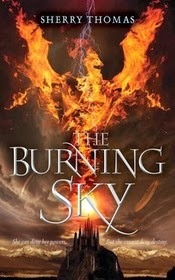 The Burning Sky deals with the latter, and I couldn't help but fall in love with this book. Due to major amounts of school work, I have not been reading. But, it's spring break, I stopped by the library on my way home, and just said what the hell to homework and picked up a stack of books. Thank the heavens I picked up The Burning Sky. The book is not without flaws, but it is enjoyable. Iolanthe is the "greatest elemental mage of her generation". Even though that is continuously stated throughout the book, I couldn't help but not believe it. Most of the time, Titus was saving her arse. I just wanted her to throw lightning at everyone and be a badass. But no, she kept tripping up. I'm big on strong female main characters, so this was hard to get past. The one consolation was that she's pretty witty and smart, but even that was lost after she fell in love. But oh well, maybe she'll get better in the second book. Secondly, the male main interest is Titus. I get that he's a prince and gets to be all stuck-up, but I couldn't help but not like him. I get it. But, could you be a bit more humble? Even though Iolanthe is supposed to be the strongest, most of the time it felt like Titus is stronger. I know it sounds like I'm complaining a lot about the character. Just read the book, please. It is worthwhile and a great read. The magical system was really interesting, and the politics are intriguing, too. You won't be wasting your time. If you check the day of my last post, it was on August 18, 2013. That was a long time ago. Pretty much all of last year I was on and off on my blog. There were a lot of personal problems going on in my family. But, I think everything is going to get better from now on. On current new, I got a puppy. Maybe one day I'll post a picture. My original charger with a USB cord broke, and my replacement doesn't let me connect my phone to my computer. So it's going to be a little more complicated. Anyways, my puppy is a maltese/poodle mix. She's five weeks old and white with some light brown spots. She's such a cutie. Since August, that's about all that's been going on with my life. I'm a junior in high school now, so things are getting complicated. Lots of homework (comes with the territory of PAP and AP classes). Usually, I post goals of me reading about 100 books or more every year. This year, I'm going to keep it simple. 50 books in a year. About 4 books a month. 1 book a week. Considering I read like 10 books in the whole year, I think this is a good pace for me to get back into the habit of reading and reviewing. If anyone out there is still reading my blog, thank you for sticking with me. I promise to try my hardest to keep this blog up and running. I made this blog a little bit longer than two years ago. I don't plan on giving up on it so easily. My book tours are up and running, so if you're an author, and need a tour, just click on the link at the top of my blog. I picked up Marked by P.C. Cast and Slumber by Samantha Young. Let's see how it goes. I think that's about it. I hope you all had an amazing Christmas and New Years. Let me know in the comments how you spent it. The Touching Evil Book Tour begins August 19 and ends. August 24. Two prizes will be given away. Links to the posts will be updated daily when the tour begins. Leila Marx is trying to put her life back together after her fiance is murdered. Her book illustrating career has limited her social contact and nightmares have trapped her in the past. When a police acquaintance enlists her help with a difficult case, Leila is surprisingly thankful to have a purpose. Not only will this help to keep her mind focused, but she will be able to use her talents as a touch clairvoyant that are frequently dismissed by skeptics. Leila and Detective Garrick Pearson delve into the mystery behind a series of missing teenage girls and mummified corpses while fighting their own growing attraction to each other. Conner Hoffman is an intriguing lawyer and striking half-demon who enters Leila’s life unexpectedly. Although her visions are terrifying, she is fascinated by his charm and his legacy. When it becomes evident that the murders are linked to a paranormal event, Conner introduces Leila to a world unbeknownst to ordinary society. She suddenly finds herself immersed in supernatural politics, sorcery, and danger as she becomes the killer’s next target. Staying alive will mean relying on friends, accepting the unbelievable, and trusting in her heart again. Amber Garr spends her days conducting scientific experiments and wondering if her next door neighbor is secretly a vampire. Born in Pennsylvania, she lives in Florida with her husband and their furry kids. Her childhood imaginary friend was a witch, Halloween is sacred, and she is certain that she has a supernatural sense of smell. 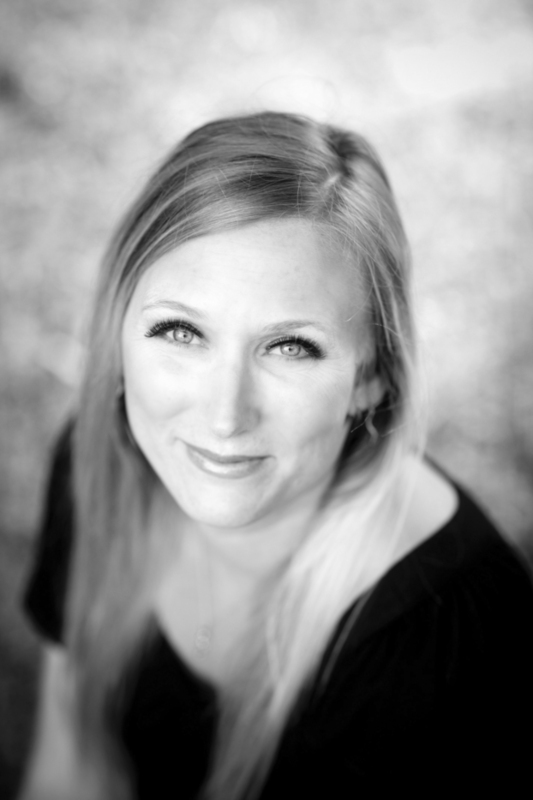 Amber is a multiple Royal Palm Literary Award winner and the author of The Syrenka Series and The Leila Marx Novels. When not obsessing over the unknown, she can be found dancing, reading, or enjoying a good movie. Incandescent Enchantments is hosting a 10 tour stop for Touching Evil by Amber Garr. This tour will run from August 19-24, 2013. If you would like to participate in the book tour, please click on the link below to fill out the form. Email me (celisewinters@gmail.com) if you have any questions.